This is the kindness survey for blogs. Have you done anything kind lately? 1) Name one or some of your kind acts that you have done today. I gave Rez a MicroSD card + adapter F.O.C. I gave Rez his early b'day present [Sum 41 album Underclass Heroes]. I lent my bike to a restaurant owner and a French guy because they wanted to test it out? 2) How about unkind stuff? Intention of prank calling the arse of a Streamyx call center to piss off their monotonous workers. 3) Why did you do the kind stuff stated in 1? I had too many tech stuff that I already have a few of or don't need, Rez spotted the CD and asked me about it, and because I knew these people (hanging out at the BU bike shop). 4) Why on earth would you do that as stated in 2?! 5) So did you think you pulled it off as a kind person today? That is the album that I bought for Rez. 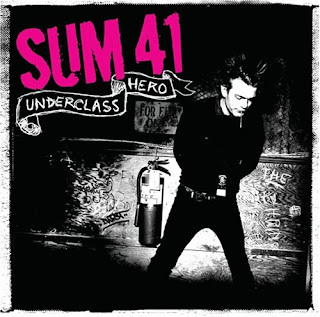 Underclass Hero, performed by Sum 41.